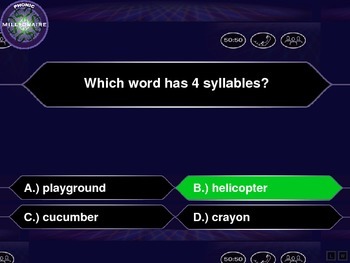 This powerpoint can be used to review syllables by playing a game whole group or in a center. 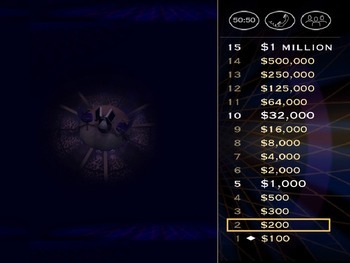 Disclaimer: Who Wants to Be a Millionaire is a game show which aired on ABC. I do not own the show or their images. 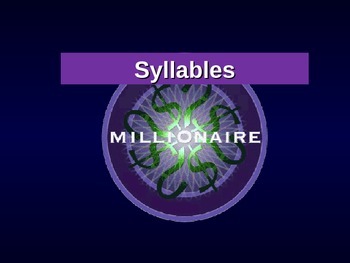 If you own the rights to Who Wants to Be a Millionaire and would like this powerpoint removed, please contact me.